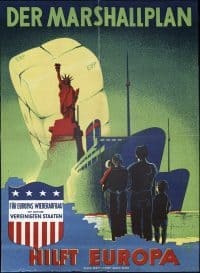 After World War II, Europe was recovering from the devastation of conflict and suffered from high unemployment and food shortages; the U.S., however, had emerged as a world power with an economy that had grown during the War. Recognizing the dire needs in Europe and the importance of economic stability, Secretary of State George C. Marshall, along with other State Department officials under President Harry Truman, developed an initiative to provide approximately $17 billion in aid (approximately $120 billion in current dollars) to European countries. This large-scale aid program, officially named the European Recovery Program (ERP) and informally known as the Marshall Plan, was passed relatively quickly through Congress as the Economic Cooperation Act (ECA) and signed into law by President Truman on April 3, 1948. The recovery plan promoted European cooperation and emphasized each country’s role in creating its own plans for recovery. 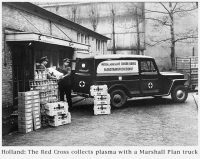 Aid from the Marshall Plan went to 18 Western European countries (about a quarter went to Great Britain alone), but was rejected by the Soviet Union, which coerced Eastern Bloc countries to refuse it as well. 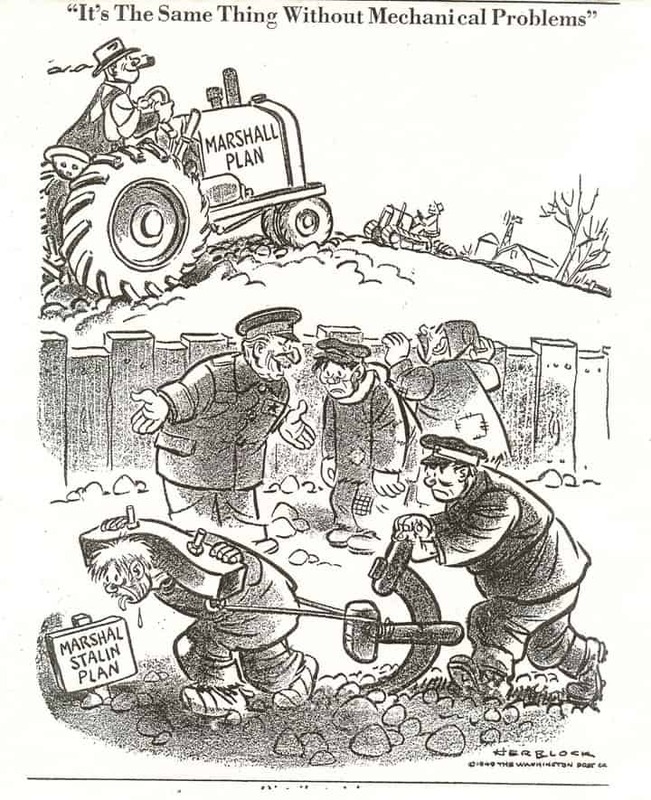 As the Cold War took hold, the economic and political stability fostered by the Marshall Plan was increasingly viewed as a bulwark against the spread of Communism in Europe. However, many asserted that the immense success of the Plan was wrongly attributed to American ingenuity rather than European industriousness. The following excerpts give an insider’s perspective from those who were involved in in the Marshall Plan’s development and implementation. Jacob Kaplan, head of the Economic section on Southern Europe and Secretary of the Appointed Study Group for the Marshall Plan, discusses early implementation of the Plan and how the Soviet Union rejected the offer of aid. He was interviewed by W. Haven North in 1999. Thomas Wilson, a Marshall Plan Information Officer, talks about the propaganda war with the Communists in Europe and how, in many ways, the U.S. got too much credit for the eventual success of the Plan; he was interviewed by Charles Stuart Kennedy in 1996. 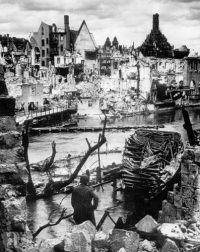 Herman Kleine, an Assistant Finance Officer for the Marshall Plan administration, looks back at the dismal conditions of post-WWII Europe and notes how the U.S. cancelled further aid to the Netherlands when it discovered the latter had hidden large gold reserves. He was interviewed by W. Haven North in 1996. William Parks, who worked on the Greek-Turkish Aid Program, describes the skepticism around the recovery plan. John Gunther Dean, Program Officer for the Marshall Plan, talks about U.S. hegemony after WWII and mutual benefit from the Marshall Plan. He was interviewed by Charles Stuart Kennedy beginning September 2000. Everett Bellows, who was involved in the beginning organizing stages of the Marshall Plan, discusses the importance of Europe deciding its own strategy for recovery. He was interviewed by Melbourne Spector beginning February 1989. You can read about the resistance to establish NATO, and Douglas MacArthur II’s account of working in France right after the War. Go here for other Moments dealing with World War II. KAPLAN: People forget that we spent about $15 billion on foreign aid before the Marshall Plan, various kinds, in various parts of the world. Most of it was for relief and rehabilitation. The European economy was nevertheless in pretty sad shape. By 1947, people in the State Department were concerned about what could be done to rebuild the European economy. Secretary Marshall came back from a very unhappy meeting with Stalin where he became convinced that Stalin had absolutely no interest in helping restore economic health in Western Europe. He felt that we needed to do something. That led to Marshall’s speech and to the European Recovery Program…. The only firm condition was the one in Marshall’s speech. That is, the Europeans had to get together, decide among themselves what each could do, and then agree on what their needs were. If they could do that, we would try to help. We did. We were, of course, pushing our views about economic policies. The ECA [Economic Cooperation Act] had missions in every one of the countries, headed by a political figure of a stature that made it possible to discuss policies with governments at the highest levels. However, we never threatened to cut off aid if they didn’t do as we urged. There was a lack of arrogance, I believe, in our behavior. People talk about the American hegemony at that time. That is valid in the sense that we were the dominant economic power. But we didn’t behave like the classic hegemon. We were interested in creating stable societies in Western Europe, not in selling an ideology. While we wanted them to free up their economies, to reestablish free markets, to remove many controls, every country was allowed to do so at its own pace. In fact, of course, they wanted the same thing as we did, but they wanted to do it in ways that were both politically acceptable and consistent with their judgment about economic possibility, as they did. But the lifting of controls, the freeing up of markets was a long process, 15-20 years. Privatization came very much later, almost a 1990s phenomenon in Western Europe…. 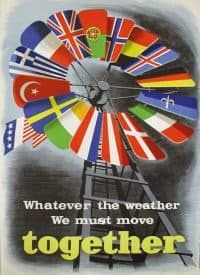 After Marshall’s speech, the British and French Foreign Ministers, Ernest Bevin and George Bidault, called a conference of the European countries to figure out how to respond. First they encountered a flap with the Russians, who wanted each country simply to tell the U.S. what it needed, package those needs, and ship the package over and let the U.S. do what it pleased. Bidault and Bevin were persuaded that that wasn’t what was asked for, nor would it work. The Russian Foreign Minister, Molotov, just walked out of the conference. Eric Roll, an important British official, was with Bevin when he came back from the meeting and said, “Get Prime Minister [Clement] Attlee on the phone.” Roll got Atlee on the phone and Bevin said to him, “He walked out, he walked out muttering threats.” That was the end of that. Thereafter, the Western Europeans went to work…. The Europeans did argue among themselves. Obviously each country wanted to get as much aid as possible. When they were faced with the need to cut back the total, they had to agree about the cuts that would be made….They had to make them themselves and submit the results to us. As the Marshall Plan operated we, in fact, made decisions about who would get how much but based on what the Europeans had submitted…. A particularly bitter argument had taken place between the British and the Belgians. However, a compromise was suggested and accepted, which was the way the OEEC [Organisation for European Economic Co-operation] and European reconstruction worked. People compromised after arguing, sometimes quite vigorously. Compromise was essential since the OEEC operated by the rule of unanimity. Each decision had to be agreed to by every member…. In the 15 years that the OEEC existed, I don’t believe that a single veto was ever exercised. [French President Charles] de Gaulle walked out on a British proposal for a European industrial free trade area. He interpreted it, probably quite correctly, as an attempt to subvert the Common Market and made it plain that the French would have nothing to do with it. The negotiations just broke off, but there was never a veto. Understanding the need for compromise was accepted by a generation of very great European statesmen. WILSON: The Marshall Plan information program in Europe, I believe, probably engaged in the most open, active, large-scale propaganda warfare that we’ve ever had. The Russians were out to ruin the Marshall Plan. You remember they refused…. The first ships arrived in Europe in Le Havre [France] with Marshall Plan goods. The dockworkers refused to unload them. They had to be unloaded by the French Army. The mine workers not only went on strike but they flooded the coal mines in France and Belgium. Some of the European governments had Communists in them as part of their coalition cabinets. This being a quite understandable reward for having conducted active anti-Fascist, anti-German activity during the occupation. The only people who really fought were the Communists in some of those countries, and they were sometimes taken in to those cabinets and had people in the governments. While they weren’t at the top nonetheless, you’re in — I’m thinking of France in the early days — a country that is short of paper, for example. It turns out there’s a Communist in control of paper allocations, and you can believe me, the Communist press gets plenty of paper, while the anti-Communist press doesn’t. The same sort of thing could be said about film stocks and that sort of thing. What’s more they had money. They could afford publishing when some other people couldn’t. If you’ve ever walked down a street where the walls only on one side are covered with posters, and they are all the same posters and they are all the same source, they carry a sense of power…. The Communists had a monopoly on the walls of Paris. So this was a real fight. So we did everything. We put the story in every media. We ran traveling exhibits in trucks and in trains and on barges down the canals of Europe. We had access to the non-Communist press completely. We could get our stuff in the British newsreels but the newsreels ran, I can’t think of the neighborhood of Paris, it was almost completely Communist. It didn’t run in those theaters because if it did, they’d get bricks through the screen. I remember every now and then getting a call from a French mayor from some town saying, “The local Communists tried to bust up your exhibit this afternoon. We’ve got them arrested. Do you want to charge them?” We never did; that’s not the point. I remember we published a paper for French unionists. It used to get thrown off the train sometimes as the train went over the river somewhere. So it was a good fight…. I thought like most of us, there would be a United States of Europe within a decade. That was 40 years ago and they haven’t made it yet. I’m not sure they are ever going to make it. Yes, thoroughly convinced that it had been a very wise policy and a very effective program, and it was on the right course. Now I think the Marshall Plan was actually kind of deceptive for many Americans. Because when we went over there, the continent was a mess, and we fixed it in a few years. It didn’t really occur to us we didn’t do it. All we really did was provide the one thing that was missing from their point of view. The Industrial Revolution had started there. They knew how to build factories and bridges, things like that. They had just been bombed out, and they needed steel etc. etc., which you could only get from one place in the world, and it took dollars to buy it. We provided them with the dollars, that’s all, that they didn’t have and couldn’t get anywhere else. They made the recovery plans. We provided them with the money to buy the stuff they needed, and so it worked perfectly. But it gave some of us, I’m afraid, the notion that we know how to fix a country if they’re in trouble. I think a good deal of our foreign aid program probably was driven by that myth. That’s not quite the same thing as going to a country that has no experience and in some cases effectively no government that knows how to work. I think we had that illusion that we knew how to do things and in Asia, Africa, Latin America, the same thing doesn’t apply. But I think we also failed to understand the significance of forcing them to decide what it was they wanted and what they needed. KLEINE: There were some very distinguished people who participated [in the Marshall Plan]. I was impressed with the caliber of people all through the whole process, at mission and regional levels. People came in for the short term, not for a career. It was not meant to be a career; everything was temporary. As I’ve said a number of times, the career that I ultimately had was a career that had not previously existed. Growing up to be an international development officer just didn’t exist at the time. It was very exciting to be a part in the development of this type of a career…. Among the European countries were the movements toward working together. The very first was Benelux, which was made up of the Netherlands and Belgium [and Luxemburg]. From the beginning, the policy of the U.S. was to encourage such collaborations. From that came the Coal-Steel Community and ultimately the very complex European systems which exist today. Later came the formation of the Organization for Economic Cooperation and Development (OECD) and the Development Assistance Committees (DAC) which really became operational after the Marshall Plan period, which gave further impulse to the Europeans to work together on the economic side….You had these annual reviews on these countries’ performance, including the U.S. The reviews covered performance in and giving to the developing countries as well…. By the end of 1952, the program in Holland began to wind down. The Dutch economy was in strong recovery. We were in negotiations for the final year. The process of negotiation began with the presentation and analysis of data from the government. The Mission made recommendation to Washington that the U.S. contribution for the final year should be about $15 million dollars. It so happened that I was sent to Paris for a meeting on the Dutch program with the people in Paris that were involved. In Paris was a fellow who was on detail from the Federal Reserve Bank, whom I got to know quite well. We were having a get-together and were talking about the balance of payments to the Netherlands. He mentioned that there had been a sharp increase in gold and dollar reserves held at the Federal Reserve Bank in the account of the Netherlands. This was startling news. There were $90 million that we hadn’t heard of or rather, had not been informed about by the Dutch Government. Q: Which would have reduced the level of assistance. KLEINE: It would have wiped it out. So I went back to The Hague and told the Mission director. He recognized that whatever case there was for the final 15 million was gone. He went to the Ambassador. At that time, the agency was called the Economic Cooperation Administration, headed by Paul Hoffman. It was completely separate from State Department, but it had a loose relationship with the embassy in country but there was no direct line of authority…. The Ambassador wanted very much for that final contribution to be made to the Dutch Government. We insisted that there wasn’t any basis for it. Finally, he agreed. The negotiations focused on trying to convince the Dutch that it would be to their interest to voluntarily renounce further aid. They did and received a lot of favorable publicity in the papers, including The New York Times, as the first country that voluntarily renounced further assistance under the Marshall Plan….The New York Times reported that the termination resulted from financial sleuthing. So, that was the end of the infusion of Marshall Plan funds to Holland…. We worked very hard in building the export industry in flowers. 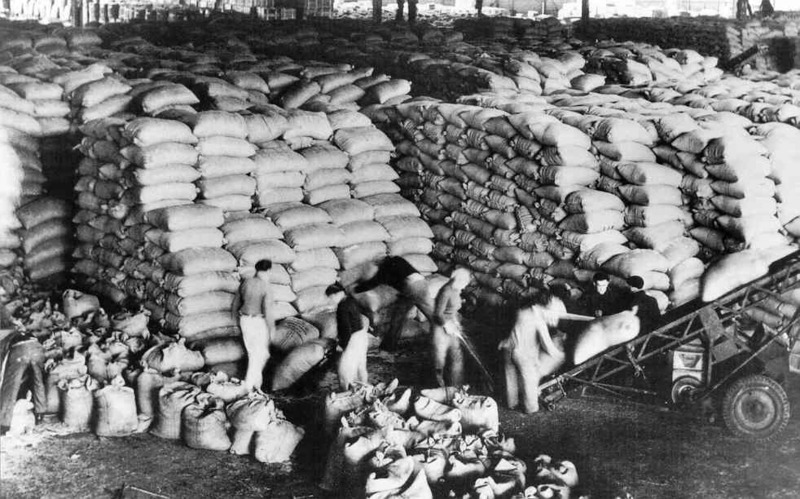 The export of tulip bulbs became a very important part of their export trade. In general it was a happy period in the relationship. Everything went well. We were able to say we were the first country to get off the dole. It was very good PR for the Dutch…. Q: Did you ever find out where that 90 million dollars came from? KLEINE: Yes, I did. I should have mentioned that it came from their relationships with Indonesia. Indonesia had been part of the Dutch empire. It was just about at that time that disengagement was well underway, but they were still getting large financial transfers. Before I left Holland, we had the first case of the U.S. responding officially to a foreign natural disaster. In February of ’53 there was a big storm in the North Atlantic and the dikes gave way with tremendous inundation of large areas. Half of the Netherlands is below sea level, protected by an enormous complex of dikes. When that occurred, we reported on this to Washington. We started a campaign to get foodstuffs, medicines and clothing to help the victims. Much assistance arrived and was distributed. It was extremely well received by the Dutch population…. Also…while the Marshall Plan is considered now by most to have been a highly successful program, it was during the time a hotly debated subject in the Congress year after year. It was not wholeheartedly supported by any means. And the uncertainty of our appropriations contributed to making our work more difficult in terms of planning and programming. Q: Can you remember any of the major issues that were on Congress’ mind? One specific issue related to sources of procurement for the use of appropriated dollars. Initially there was no problem. The goods that were to be bought were essentially only available in this country. There was no threat from the buildup of the economies of Western Europe at the time. As reconstruction took hold, alternative, more economic sources of procurement were available in Europe and the Far East. It’s also interesting that in the first years of U.S. foreign assistance, assistance was made available on a grant basis rather than through loans as it did when it shifted to areas outside of Europe. But the belief in those early years was that the economies were in such bad repair, one would have to be considered an idiot to think that they would be able to repay. You will recall, just before the Marshall Plan was announced there was a very bad winter in Europe — there was a real threat of starvation and economic collapse. They didn’t have enough coal for heating or for power. I arrived just before Thanksgiving….Shortly after that…, some friends were driving to Bremen for the Christmas weekend. He was with the U.S. Lines, the shipping firm, and Bremen was the main center for the company. He was driving and a friend from the Embassy invited me to go along. It was an opportunity to see part of Germany and was shortly after the war. I had nothing planned, I went along. It was dismal; it was sad to see the scale of destruction. In Bremen there was little lighting, only an occasional light. And every once in a while, you’d see a scrawny little tree with a couple of little Christmas lights — it was a mess. Yet from that time, the end of 1949, to the time I left, the recovery process was evident not only in Holland, but every place I visited in Western Europe. You could see it happening right before your eyes. Q: But there was an element of a certain amount of pessimism of whether they would ever really recover. KLEINE: There was indeed a question of how well the program would succeed. There were more questions about some of the countries than others….The most problematic were France and Italy. Mostly for political reasons, internal political reasons. There was a bitter struggle between the Right and the Left. The Communists were very strong in both countries. The U.S. role during that time in Italy was pivotal in keeping the country from going Communist…. When I came back in April of ’53, I was assigned as the French Desk Officer in the European Region. The French program was the largest program of the Marshall Plan. 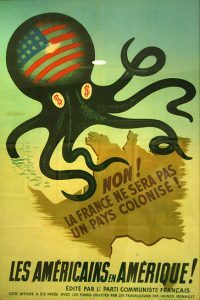 You may remember in those days, France was called the “sick man of Europe.” It was in a mess from destruction of the War and from inflation. The French people were despairing of ever being able to pull out of their economic morass…. It’s interesting to remember that the Russians elected not to participate in the Marshall Plan, even though initially they had the opportunity. That was a defining decision that shaped much of what happened until the collapse of the Soviet Union in 1989-90. PARKS: With the enactment of the E.C. Act [Economic Cooperation Act] in April of 1948, to the surprise of many people, including, I suspect, the planners in the Department of State, the Congress, in approving this $20 billion, four-year program, which was the conceptual framework of the Marshall Plan, decided that under no circumstances would it entrust this highly operational program to the Department of State. It insisted upon the creation of an independent agency, to be called the Economic Cooperation Administration (ECA), to assume this awesome responsibility. Beyond that, the President determined that the program should be headed by an outstanding, prestigious U.S. citizen with a proven track record in business and management. He selected the late Paul Hoffman for this purpose. Again, as I remember, Paul Hoffman was a Republican, underscoring Truman’s objectivity in reaching out to tap a member of the opposition political party to head this pioneering enterprise. I also recall–and again this may be a small diversion–the then-awesome dimensions of this program. Twenty billion dollars in those days was a considerable sum of money…. In effect, the ECA was being asked to play a major role in restoring the shattered economies of Europe in the devastating wake of World War II, to the point of self-sufficiency within an incredibly short time frame of four years. I vividly remember the degree of skepticism that prevailed on the part of many economic and political theorists, that this was a monumental task and highly unlikely to be successful. 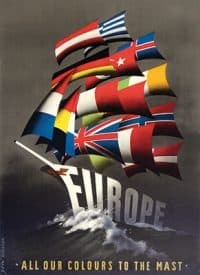 There were even some opponents of the program, who saw no need to provide aid to Europe, or, in fact, even saw a potential economic threat to the United States in rehabilitating the economy of the major European countries. DEAN: The people who worked on the Marshall Plan, whether it was Arthur Hartman on the French side of the Marshall Plan, or in the European Headquarters side which I was on, were mostly believers in the need to build up Europe and maintain a close link between the two sides of the Atlantic. We all thought we were doing something useful and important. We were building a new world. There was no doubt that part of our job was to help Europe maintain some form of capitalism, a free enterprise system, and above all, democratic rule. One has to remember the spirit of the times. In the post-war period, the governments in France had included Communists. There were also Communists in other countries’ governments. Governments in Europe were debating whether they were going to follow an authoritarian form of rule with significant central government interference, or maintain a more democratic way of building up Europe. By 1950, Europe was already divided by the Iron Curtain…. It was a big change. The Czechs at one point had said “Yes” to the Marshall Plan. The Marshall Plan provided the essential foreign exchange for these countries to feed themselves and to get their industries started again. Was it altruistic on our part? It was good common sense. We, at this point, helped to make Western Europe choose a path which is similar to ours. As far as Greece and Turkey were concerned, the Marshall Plan also brought about some painful changes. Why? Because, they were the largest exporters of tobacco to Central Europe. In many part of Europe, people smoked Greek and Turkish tobacco. During the Second World War GIs handed out American cigarettes — Maryland and Virginia blends. People got accustomed to smoking American-type tobacco. They preferred it and bought American cigarettes. But the Marshall Plan helped Greece and Turkey to rebuild their economies. We suggested new ways for the Greeks and the Turks to earn foreign exchange by exporting or by substituting domestic production for foreign imports. For example, we helped the Greeks to export and sell their grapes on foreign markets. In Turkey, we built a steel mill in Zonguldak, replacing some of the imports they could make cheaper themselves. In certain parts of Europe, without U.S.-provided foreign exchange and the Marshall Plan, people still did not have enough to eat. The U.S. provided badly needed wheat and corn to feed Western Europeans who did not grow enough grain immediately after the War. The Marshall Plan also provided modern technology. The concept of productivity was pushed by the Marshall Plan and it took hold all over the world. All of us who were involved in ECA felt we were doing something useful and it made our lives worthwhile. I also believe that the immediate post-War period threw up these great leaders in Europe who realized that Europe has to work together if Europe is to play a role again on the world scene. Roosevelt had never got along too well with de Gaulle, but de Gaulle knew how to lead his nation. He understood that France could never be a major player without the full cooperation of Germany. De Gaulle started his rapprochement with Germany for strictly national reasons. On the German side, Adenauer fully understood that Germany, after World War II, needed to work closely with the rest of democratic Europeans to become “acceptable” and this meant in the first place an alliance with France. In Italy, the U.S. helped the Christian Democrats to pursue a pro-European policy, and the Treaty of Rome is the corner stone of today’s European Union. This brings me to an important point. In the immediate post-War period, U.S. foreign policy seemed to me primarily oriented toward mutual benefits. We were interested in helping Europe to get back on its feet because only one country had won the war: the United States. While the British were among the victors, Britain was basically exhausted. The Russians had won the war but their country was partially destroyed and they had 26 million casualties. So, the only ones who emerged as the great victor from the war was the United States. By pursuing a policy of mutual interest toward Europe, our policies became highly acceptable to the Europeans. Americans were perceived as friends, in some countries as liberators. 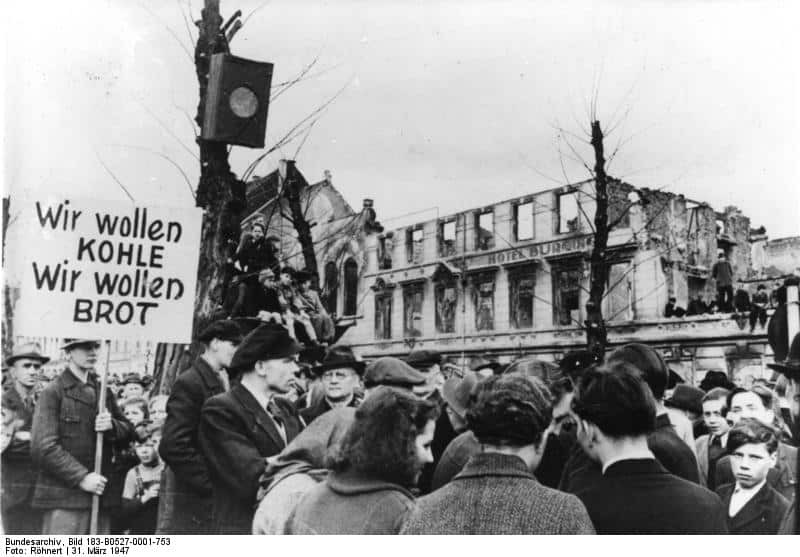 The Germans found out that while we had fought the War under the slogan of “unconditional surrender,” once the War was over, we behaved with a great deal of understanding for Germany’s problems. We held out our hand in friendship to the Germans. We provided funds under the Marshall Plan to build up and reconstruct Germany. But the U.S. also benefited from the reconstruction of Europe. American firms established branches in Europe and we invested in new industries in Europe. We helped to feed Europe and at the same time increased our market share for U.S. agricultural exports. Q: As you look back on it, speaking of the Marshall Plan generally, why do you think it was the success that it was? People use the term now to almost anything — to replace a Rust Belt, we have a Marshall Plan. BELLOWS: It was, of course, the great and original initiative. It was unheard of, as far as I know, and I do read some history, for any victorious nation to go in and rebuild the battlefields, to reconstitute the economy. It was done with a dual purpose. The immediate beneficiaries, the Europeans, needed the help. Secondly, from the United States’ point of view it was important that they not collapse and fall into the Soviets’ sphere of influence. So there was a great deal of political purpose behind it. The other thing that people should know about the Marshall Plan was that the Europeans did the job themselves. What we did was give them the tools to do it. One of the tools was the counterpart fund. We should take a moment to explain what happened. When we shipped coal, wheat, iron, steel, whatever, to the Europeans, it was because they didn’t have the dollars to pay for it. They could have paid for it in their own currency. Moreover, those purchases were made in the United States. I don’t have exact numbers because I’m not an economist, but my guess would be somewhere between 80% and 90% of all the Marshall Plan dollars were spent in the United States. We used to get pleas from people who grow apples in the state of Washington to buy more apples for the Europeans. We would have to tell them they’ve got apples in Normandy. We spent the money in the United States. The receiving governments put up the equivalent cash in their own currencies. So it had a double impact. The materials were there. The dollar gap was closed by being set aside. The resulting counterpart currency gave them the funds to rebuild bridges, highways, hospitals, airports, schools, the kinds of things that no industrialist does either here or there. It was a tremendous economic, psychological and political maneuver, and it was tremendously successful. It was successful because we were not onerous about it. A lot of people back home thought the Europeans ought to be more grateful. But we didn’t go around asking people to be grateful. We went around to share in their inspiration and to encourage them, sometimes to give advice, usually only when it was asked.